Please follow the steps below depending on your environment. 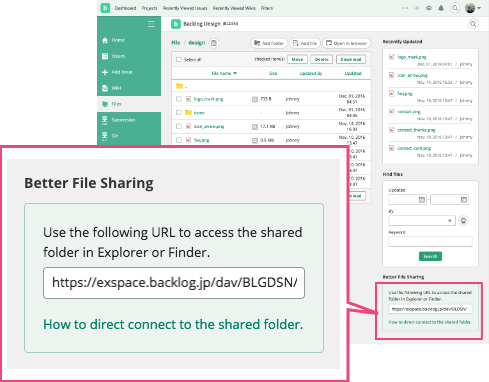 The file size becomes 0 byte when a file is uploaded from a Mac by using Finder and connected with WebDAV. It seems to be a common problem for other applications and be reported to Apple forum. To avoid this problem, please use Cyberduck or other tools. We will keep researching the solution for this problem. 1. 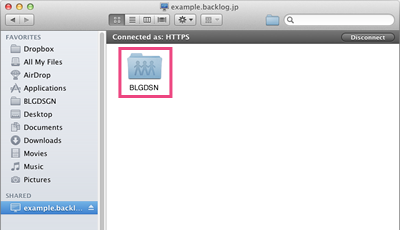 Copy the URL on the lower-right of the "File" page. 2. 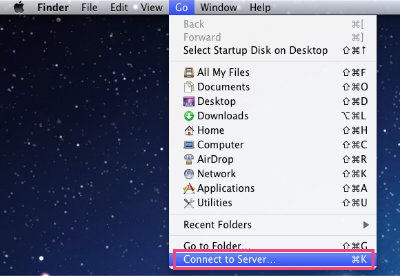 From "Go", click "Connect to Server". 3. 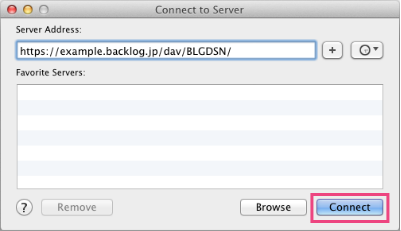 Paste the URL you've copied in "Server Address" box. 4. A dialog to verify will open. 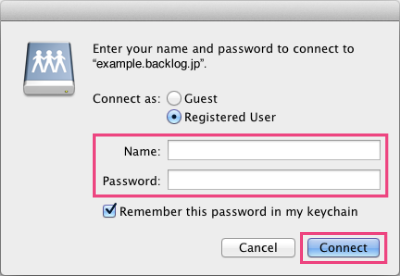 Enter the Backlog user ID and password and click "OK". 5. Finder window will open and setting process is completed. What is the “Watching issues” function?